The international theme for World Breastfeeding Week changes annually and is translated locally for our month-long Breastfeeding Cafe. World Breastfeeding Week is an activity of the World Alliance for Breastfeeding Action (WABA). Check out the WABA website to learn more about past and upcoming themes for World Breastfeeding Week. 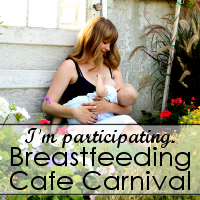 Thank you for your interest in the Breastfeeding Cafe! The Breastfeeding Cafe is an annual project of the Utah Breastfeeding Coalition and many local partners. We invite you to join us and contribute your voice and vision! Hello. I may be interested in volunteering if you’re still in need of people. I’m definitely interested in the babywearing fashion show and I know a few other mamas from our BWing group who may be too. Please let me know if we could be involved.